How virtual digital assistants can help make your future office life a little bit easier. Speaking directly to your helpful digital assistant could be the new workplace norm, as virtual digital assistants (VDA) are becoming more integrated into different parts of the office. Amazon is working to embed its Alexa digital assistant into office equipment. By using third-party device makers, the online retail giant allows companies to embed Alexa into equipment using the Alexa Voice Service device software development kit. 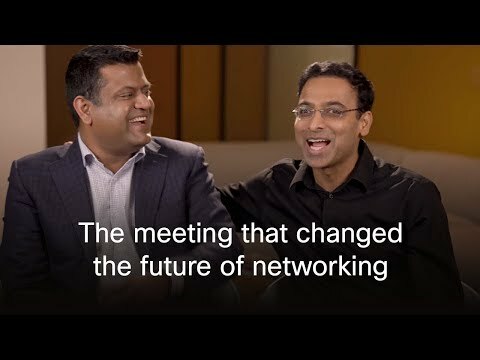 Cisco has its own VDA enterprise solution, which uses meeting tool Webex to provide easier video conferencing and online meetings. Unveiled in early 2018, Webex Assistant allows users to start and end meetings using voice commands. Participants can also call others, raise and lower the volume, and mute. There are major differences between AI-based digital assistants for the home and the office, based on the sheer increase of requirements needed for workplace settings. For one, home assistants are used to only one or a few voices, while enterprise VDAs must be able to deal with the number of daily users in a single conference room. Enterprise units must also be able to handle the complexity of language an office setting can provide. One employee may say "Join the call", one may use "Join the meeting", while another says "Start" or "Begin". The variances in the human language between different employees in an office is staggering, and the VDA must be able to navigate that. Cisco created Webex Assistant with all of those needs in mind, including issues for security, scalability, and manageability. With that in mind, VDAs can still bring the usefulness of voice assistant technology into the office. As Cisco's Pat Bran writes, today's knowledge workers have a little too much on their plate. Using VDA is a way to alleviate some of that, taking the smaller tasks so that employees can focus on bigger projects. Narrative Science conducted a 2018 survey that showed AI tech in businesses can help employees save time, create better accuracy in work, and increase productivity. This may help explain why the traction of VDA adoption in businesses is on the rise. Tractica's research survey on VDAs shows that the tech's adoption in the enterprise will increase from 145.2 million unique users worldwide in 2017 to more than 1 billion users annually by 2025. Looking ahead to the future of work means anticipating other ways VDA can be useful to the business. Aside from helping with administrative tasks, AI-based digital assistants can use machine learning to recognize data patterns and create predictions for the business. We may expect future versions of VDA to even go beyond the everyday and merge between interfaces like mobile apps and messaging.